It's no secret that we LOVE Halloween at Little Munchkins! Every year the educators come together to transform our downstairs classroom into a "spooky" Halloween mecca! We brought in our pumpkins off the front step and cut them open for some pumpkin guts exploration! Only one child out of the group would touch the pumpkin guts with their hands! The children separated the seeds into a different bowl so we could cook them up for a tasty treat! The afterschoolers painted and "pumped up" the pumpkins with gems and jewels to help turn our clubhouse into a haunted house. 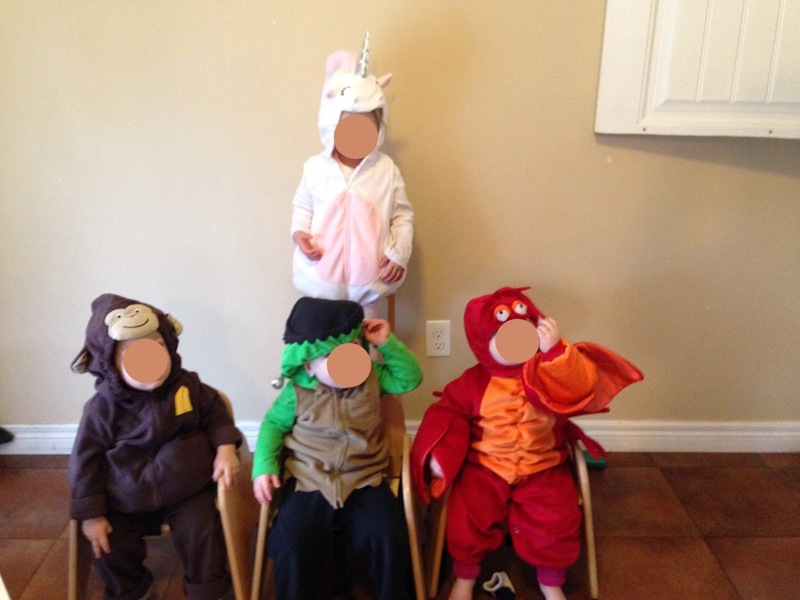 The munchkins arrived in their costumes and so did the educators! Taba Ghost was tearing it up on the dance floor to Monster Mash! 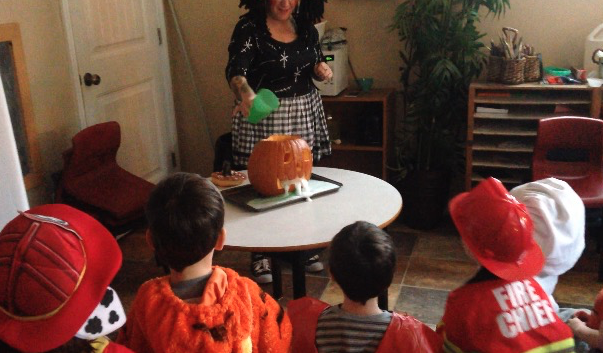 Wanda put on a science show for the munchkins with her exploding pumpkins! The children screamed and laughed when the bubbly concoction came flying out of the jack o' lanterns mouth! The children took turns picking what colors should come out next. The art room was transformed into a witch's kitchen where the children could get really messy and make their own potions. With the room only lit with flameless candles and the sound of wolves howling from our nature sounds player the room really let the children's imagination run wild! Upstairs in the toddler room, the little ones were getting even messier with colored pasta and jello! 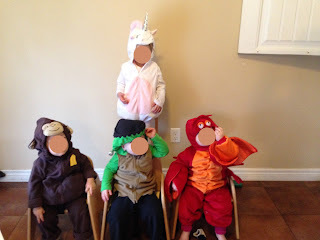 Before the mess we had the cutest monkey, unicorn, Frankenstein and lobster! Two of our closets connect to one another which the children didn't know about. We cleaned out the bottom and added spider webs throughout it. This made a creepy tunnel for the kids to crawl through. This was the biggest hit of the party with a line across the room waiting to get in. Overall everyone seemed to enjoy themselves. 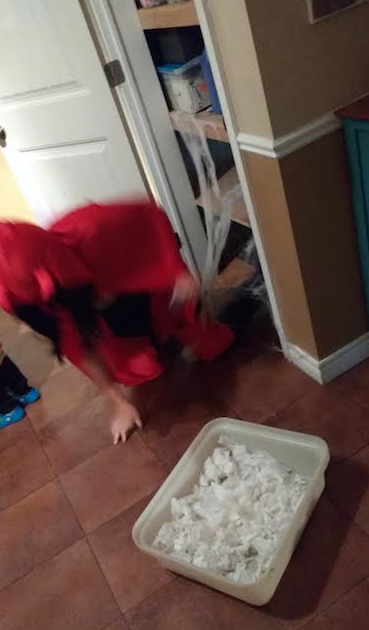 We had lots of tricks and even more treats! (that we glady sent home!!) It was a successful party to add to the books; we can't wait for next year!